Ship., Priv. & Terms & Cond. 1954 Ford F100’s were nearly identical to 53’s. A few minor cosmetic changes took place. A new grille was designed. The headlight buckets were the same as 1953. Optional Deluxe chrome grille trim was unique to the 1954. 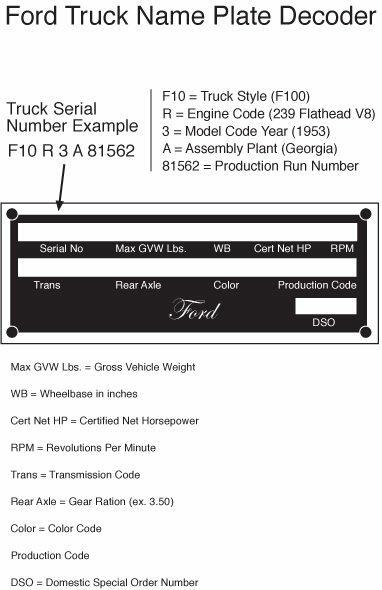 1954 Ford trucks were available in a few more paint colors over 1953 trucks. Under the hood, Ford truck engines were changed a lot. The famous Ford Flathead was gone. In place were a series of overhead valve designed engines. Available engines were: 223 Straight 6, 239 V8 and 256 V8. CMW Trucks, LLC is based in Northeast Ohio. We have been in the classic truck industry since 1990, building classic trucks and taking part in shows. In recent years, we began selling Ford truck parts and now Chevrolet and GMC truck parts. We hope we can help you with your restoration or hot rod project.